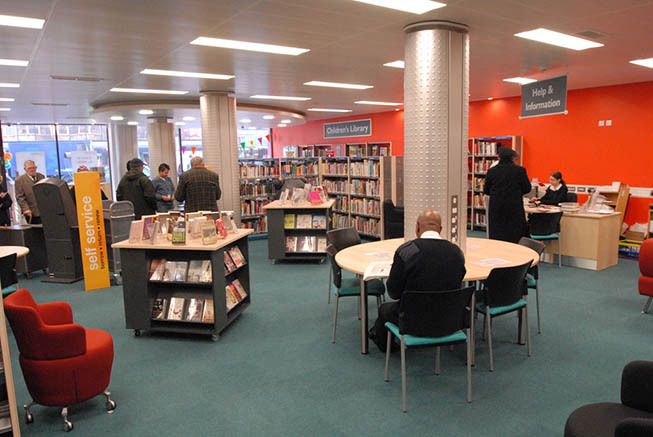 The internal design features an oval shaped hanging ceiling over children's library and glass partition between library and coommunity/meetings area. 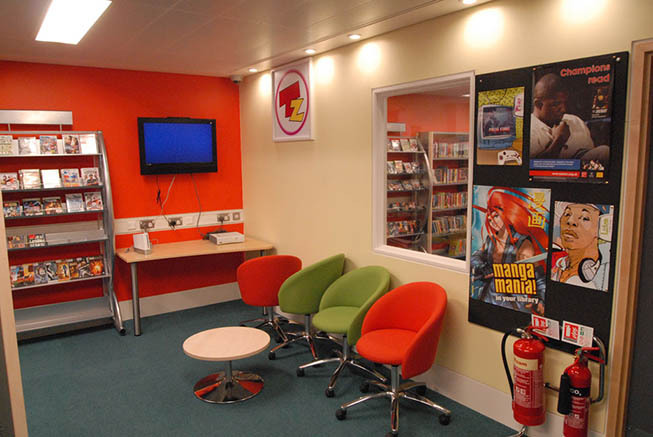 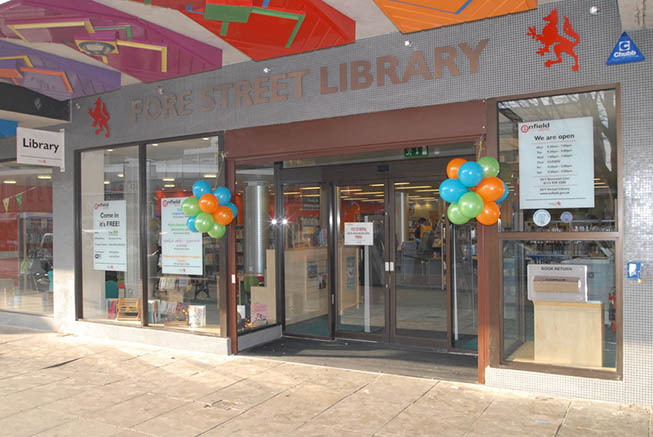 The library features facilities for young people (listening posts, furnishings for young people and games consoles). 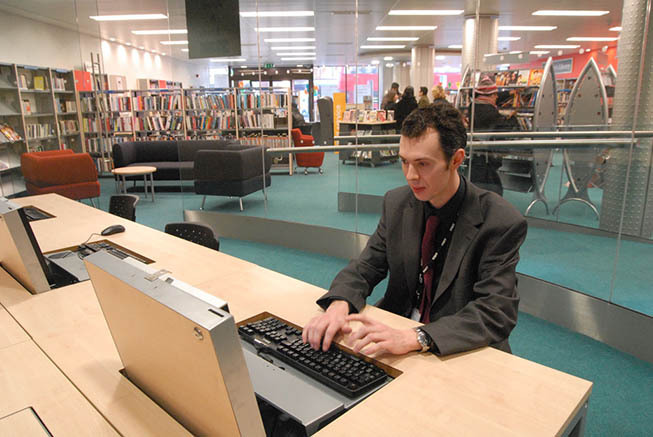 The library has a homework club for young people, baby and toddler sessions, teenage activities,and a job club.